Butter tarts are the quintessential Canadian sweet treat. They are a truly a Canadian invention and the oldest recipes date back as far as 1900. There is a good reason that there is a national obsession with these sweet, buttery, oozy caramel-like tarts in thick flaky pastry: they are the perfect marriage of flavor and texture and just the perfect size. There is considerable debate on whether to make them runny or firm and preference is often regional. Baking time solves the issue pretty easily to please both sides: a bit more time in the oven yields a firmer filing. But with the crisp caramelized top, it is soooo good to bite into one and release that buttery runny filling inside! For me, they seem more like a pecan pie filling without the pecans, if baked firm. But I jump ahead. I just can’t help myself. These babies are so darn good! Opinions also run strong on whether to include raisins or not. Purists say absolutely not. If you don’t like raisins, just omit them. I like my butter tarts runny with raisins in a thick flaky pastry. 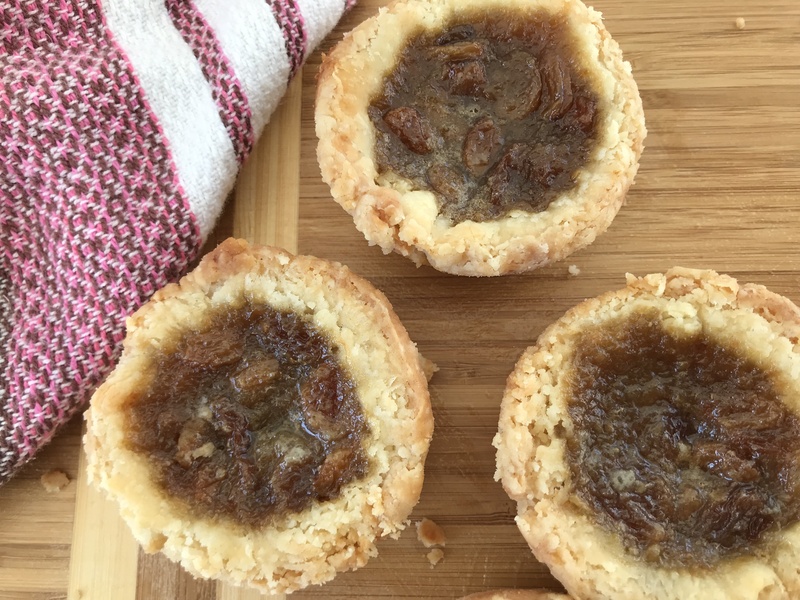 In my opinion, the BEST butter tart recipe is my mom’s and is the recipe featured here. 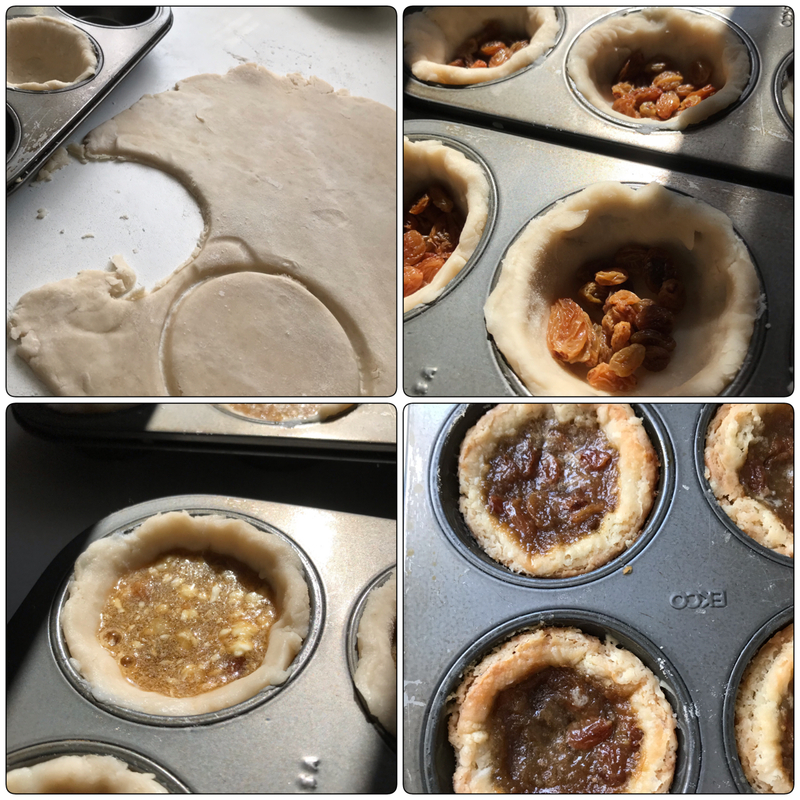 Butter tarts originated in English Canada but my French-Canadian maman remembers making them with the nuns at her French school. Many recipes feature corn syrup which gives them the runny consistency but my research shows corn syrup was developed in the 1950s and made its appearance in 1960s kitchens. Early recipes must have been made entirely with brown sugar. No matter what side of the butter tart debate you fall on, there is no debate on the deliciousness of this irresitible Canadian classic. Oh, Canada! Using a fork, blend the shortening, salt and flour together until it ressembles coarse oatmeal. Sprinkle the water over the surface and toss with a fork or your fingers until the water is just incorporated into the dough. Do not over work the dough. Handle it only enough so that the dough stays together. Form two rounds of dough, each about an inch thick. Wrap in plastic and chill for about a half hour or as long as overnight. Roll out on a lightly floured surface. Cut into rounds with 4 inch cutter. Fit into 12 muffin cups. Chill in the fridge while you prepare the filling. Preheat oven to 400F. Cover the raisins with warm tap water and let rest about a half hour to soften. Combine all filling ingredients except the raisins and mix well with a wooden spoon. Sprinkle raisins in the bottom of the pastry lined muffin cups. Fill 2/3 full with syrup mixture. Bake on the middle rack at 400 F degrees for 15 minutes for a runny tart, or 20 minutes for a firmer tart until the filling is bubbly and the edges of the crust, golden. Ours took an extra 5 minutes of baking time. Cool completely on a wire rack and remove tarts from from pans. 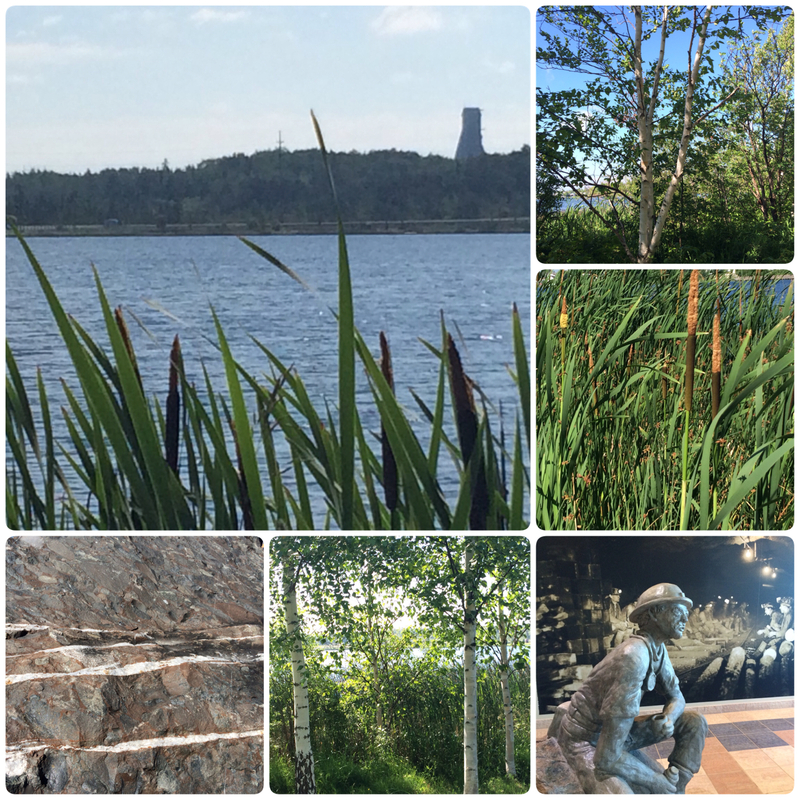 Since I am writing this post from Canada where I vacationed in the beautiful Maritime provinces and in my hometown of Timmins, Ontario, I leave you with some beautiful scenes of my birth country. Oh, Canada indeed. 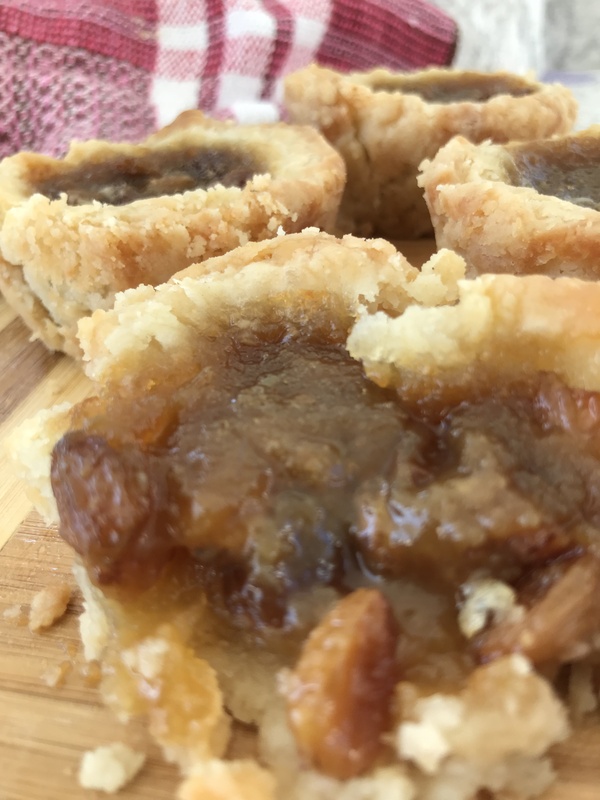 This entry was posted in Recipes and tagged butter tart with raisins, butter tarts, Canadian butter tarts, Canadian classic butter tarts, flaky pastry by Johanne Lamarche. Bookmark the permalink. Thanks Linda. In the kitchen with my 86 year old mom today. I hope you’ll try a butter tart someday! I really have to make these! And I love your tie in to your homeland with the beautiful pics. Enjoy the time with your mom! Thanks! I kept my promise to get you her recipe Lorelei. We made them together. Her pastry is just incredible! Ok, I’m almost drooling!! Wow these sound good! 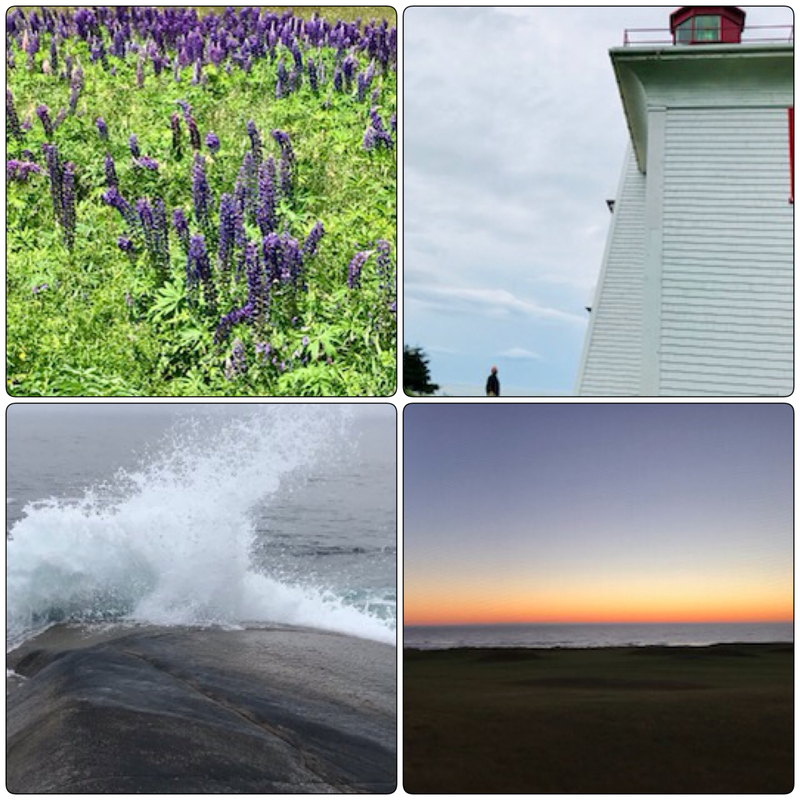 Your photos of home are gorgeous! Wow! The photos at the end are beautiful! I’ve never visited Canada, but my sister and a friend have both been there, and both agree it is beautiful through and through. The photos of the shoreline remind me of pictures of Ireland. When I first saw the pic of the tarts, my mind immediately jumped to pecan pie! I love pecan pie filling with or without the pecans, so this recipe is right up my alley! It will be difficult, I’m sure, to eat just one, but I’ll just nibble and savor it! I think you’ve already walked that butter tart off Alycia! Spoil yourself a little bit. 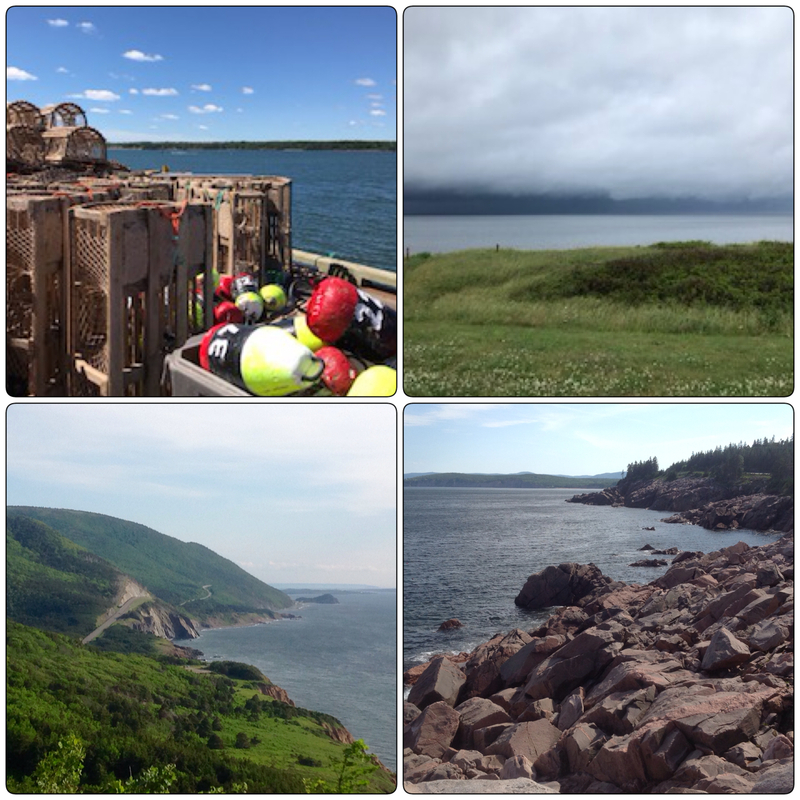 The coast of Nova Scotia along the famous Cabot Trail does look like Ireland. (if Ramon golfs there is ocean cliff side links type golf at Canada’s #1 course, Cabot Cliffs. My husband has golfed CA, Scotland and Ireland and said it was even more spectacular). It was absolutely breathtaking. I hope you’ll get there someday. The people were so nice too. Big Scottish/Irish heritage. I held off having any butter tarts until I got home to have my mom’s. But I have to confess, I had more than 1 and my FitBit did NOT look like yours!!!!!! I adore butter tarts. And since I also adore all things Canadian, this is on my list to make! What a hit it will be! So glad to share this recipe with a Canadiophile! Is that even a word? How did you come to love all things Canadian? I used to make butter tarts every Christmas but never knew they were Canadian until I ran inot a Canadian who is a neighbor in Atlanta! I have no clue where I got my original recipe and of course, not knowing the tradition behind it started filing them with all sorts of things! I will only go classic or raisin from now on, in honor of your Mamam! Ooops that was supposed to be ran into a Canadian who is a neighbor of my brother’s in Atlanta! Ah! The mystery explained. LOL. So funny Mollie! I think you must have been Canadian in a previous life….tourtières and now butter tarts! When did you live in Atlanta? I didn’t, but my brother moved there about 20 yrs ago and now my daughter lives there. My Dad’s family came from Scotland and Ireland to Canada and lived there for about a century, and moved to Iowa in 1856. I have lots of French from ano. branch of the family, but I think the Scots & Scots Irish didn’t mix with the French in Canada, and visa versa. Oddly enough, I live in a French Canadian neighborhood in the Twin Cities. My house was built by a man named Larpenteur and my house is a 1940’s French Colonial = falling apart faster than I can fix it up, lol! That is a very interesting history Mollie! I never gave much thought to the French and Scots/Irish not mixing in Canada. I don’t think it is common but my mom’s best friend is French Canadian and she married a Scotsman. I had no idea there was a French Canadian neighborhood in the Twin Cities. I’ll have to check it out the next time I visit! Have people there preserved the language or is it more like the French Canadians who emigrated to New England? Totally assimilated except with names. Too bad about your house! Usually the French Canadians are great builders and used to harsh climate conditions. It”s not a neighborhood like you’re thinking of, more of just a weird little area off a lake where a bunch of french canadians settled. And it’s pretty much assimilated. I think if you know what to look for you’d see signs. That French blue on trim, some houses have pillars. The guy who delivered my dishwasher was French and when he came in the house, he said “Do you speak French?” so he saw it. My house was a fixer upper to start with. The first 15 years were a lot more fun!!! Wouter makes a similar tart every Holiday season. Just one larger one and they are delicious. The Dutch love their snacks! i have not had these in France, but they look oh so good and I shall make these and have with a cup of tea and think of your story. Best. They are Canadian but thought to originate in English Canada they are popular in French Canada as well. You’ll be able to compare the Dutch version and decide which are best, a sweet challenge for you Teresa!